'How's About Ye?' 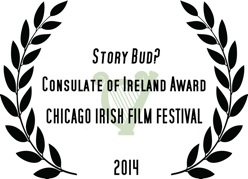 is the follow up to 'Story Bud?' 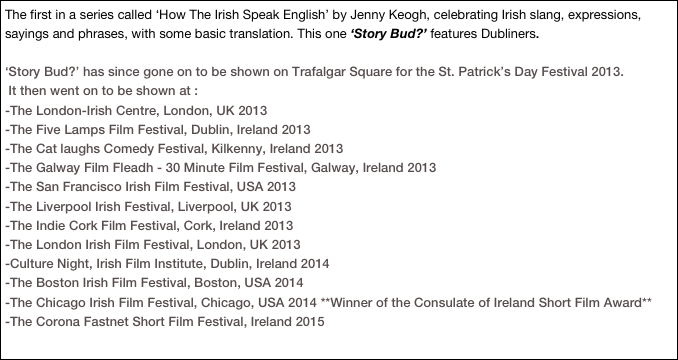 and is a teaser showing snippets from eight counties of Ireland. The series aims to include all counties and will help to preserve this unique language known as Hiberno-English for generations to come. ‘Are ya Startin?’ is a bonus video to 'Story Bud?'. Loaded with humorous insults and lively exchanges, there isn't a dull moment when it comes to the wrath of the Irish. Featuring people from Dublin, Cork, Louth, Tipperary, Meath and Armagh.